Google is doing its darnedest to make developers happy. To a certain extent, anyway - it still makes some major mistakes on a pretty regular basis, but at least it's trying to expand availability for paid apps to more users and, crucially, more developers. 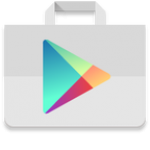 Today developers in Azerbaijan, Iceland, Peru, And Yemen can submit paid apps to the Google Play Store, as well as offer in-app purchases. Previously Android users in all four nations could buy apps, but not sell them. Nothing stopped developers in these territories from publishing apps before, but Google had no way to pay them, so they were limited to free downloads. The update posted to Google's developer console support page says that they can now set up a Google Payments account to get paid in local currency (US dollars for Azerbaijan and Yemen, Euro for Iceland, and Nuevo Sol for Peru). Notably, Amazon seems to be much better at expanding paid services worldwide, probably because of its retailer experience. Apps on the Amazon Appstore can already be paid for and downloaded in all four countries - Azerbaijan and Yemen were added almost a year ago, along with many other smaller nations.